The Foundation Exhibition showcases the work of students in the first and second year curriculum. Foundations studio courses provide an intensely hands-on environment where students are encouraged to learn through experimentation. 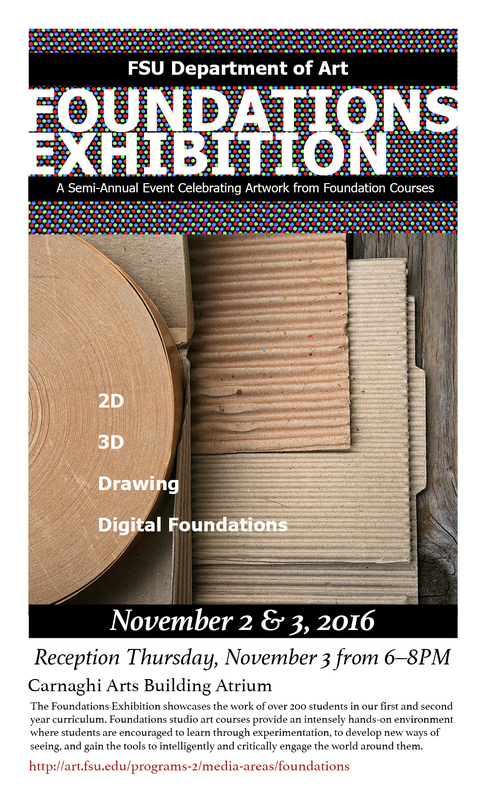 Join us for a reception at CAB on Thursday, November 3rd from 6–8PM and see the impressive variety and quality of work. The show will run November 2nd and 3rd.